Camille trained at the European School of Osteopathy in Boxley, Kent. She holds a Master's in Osteopathy and is registered with the General Osteopathic Council. Treating a wide range of patients at established clinics across Kent and Sussex, Camille has developed an engaging communication style and believes that effective listening is key to successful treatment. With specialisms in cranial and visceral techniques in conjunction with structural manipulation she regularly treats expectant mothers, babies and children. Outside of treatment, Camille practices Qi Gong, Yoga and Meditation. She uses elements of these movement based practices in treatment to facilitate understanding of the anatomy and function of the body and different postures. She is able to prescribe appropriate stretches and exercises in order to enhance well being. 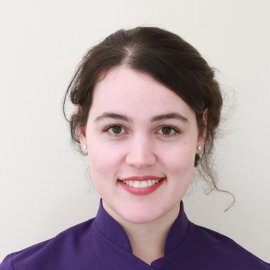 Camille is also a clinic tutor and lecturing assistant for undergraduate students at the European School of Osteopathy. Clinic appointments in Tunbridge Wells and East Peckham. Home visits by arrangement.